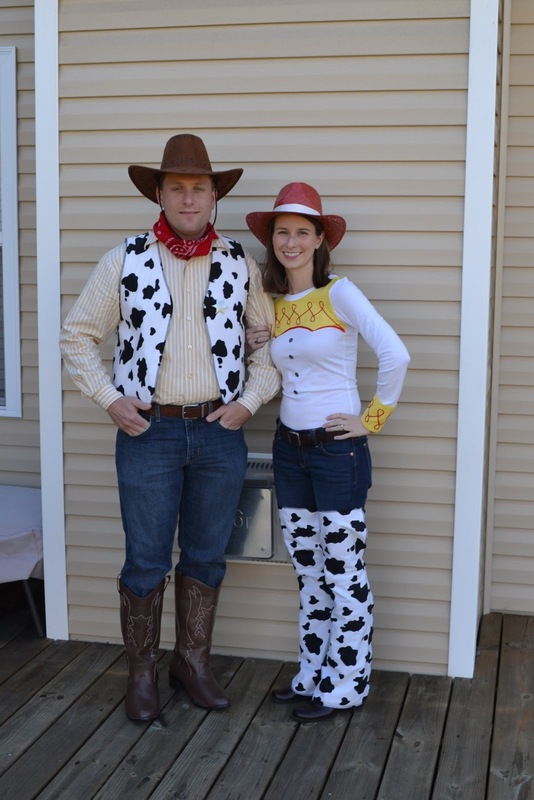 We went to a little Halloween get together/birthday party for a friend on Saturday for a little bit. 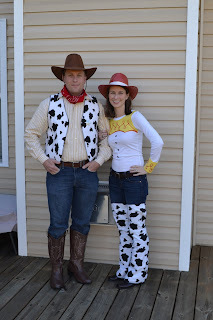 Being Woody and Jessie from Toy Story was a lot of fun! My mom made Eric's vest and sent a bandanna and cap pistol she had on hand. We bought his boots online from a costume place for $30 and the hat and star are from Party City. He already had the shirt and the belt. My mom made my shirt (be amazed!) and sent me the already serged around cow pant parts and I just had to finish sewing the elastic around the back. I couldn't find a red hat that looked just like Jessie's so I spray painted a straw hat from walmart and added the ribbon. I already had brown boots and the belt. 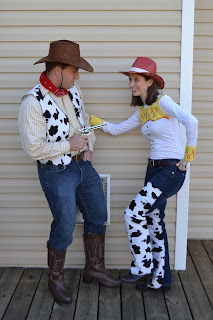 It was really nice that part of our costume was jeans! I can definitely see us using this costume again in the future. Katie and Kyle came dressed as Kate and William! I think they really look the part... Kyle even had some fake teeth. Here are the girls dressed up.